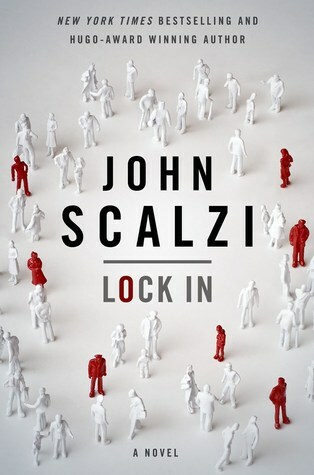 Lock in is a science fiction novel by John Scalzi. Having been impressed by Old Man's War, I wanted to try another of Scalzi's stories, so I picked this one up on Amazon and started reading it on the train while commuting. It was a quick read but and enjoyable one. When I first read the blurb and realised it was a book related to disease I had a nasty feeling that it was going to be another book about epidemics and the public in a panic while the FBI push everyone around wearing white contamination suits. Thankfully it was not. Within a few pages it became apparent that Hadens Syndrome (the theme of the book), was something that had occurred a long time ago. The panic was long since gone, and society had embraced the condition to make Hadens an integrated part of society. This was a fresh angle and made the book a lot more interesting than it would have been otherwise. Hadens Syndrome is a debilitating illness that starts with a virus and develops into meningitis before having a range of side effects on its victims. Some people die, and some become brain damaged, while others make a full recovery. The backbone of this story is what happens to everyone else, the ones who become paralysed but are still aware of their surroundings. These are the 'Locked In'. Scalzi introduces us to a new society where the Locked In have their physical health taken care of by the government, and their minds are set free in a place that has been specially designed to a give them their own mental environment to explore and live in (something similar to cyberspace). The Hadens can also take part in the same physical world as the rest of us by using a host robot (threep) to walk around and interact with people. The disease has changed society in many ways. It's social implications are widespread and its economic impact has divided the people into those who believe that Hadens should be cared for as sick citizens, and those who think that the Hadens get preferential treatment and have too much money spent on them. These tensions and conflicts inevitably lead to factions working against each other to take advantage of a changing situation. Agent Chris Shane is unusual in that he is a Hadens victim, locked in from an early age, but he's also the son of a wealthy businessman and politician. He has been a poster child of Hadens for a long time and he longs for a life with more meaning. When he joins the FBI, he finds himself in the middle of a crises that leads him ultimately to discover just how twisted society has become, and how Hadens has affected every part of society. 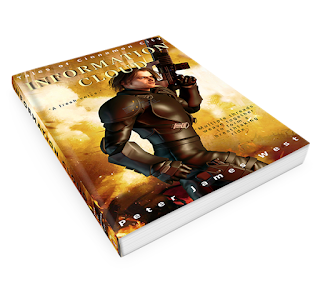 The story was unusual and refreshing and the characters were well formed and believable. I gave Lock In 4 out of 5 stars. I would recommend this novel to science fiction fans who like sci-fi with socio-political themes and good characters.